As you know I just got back from my family holiday to Europe. This trip was years in the making. My father in law goes to Ireland every year and it was his wish to have his entire family go with him before he gets too old to travel, so last year we all said yes and we just locked it in. 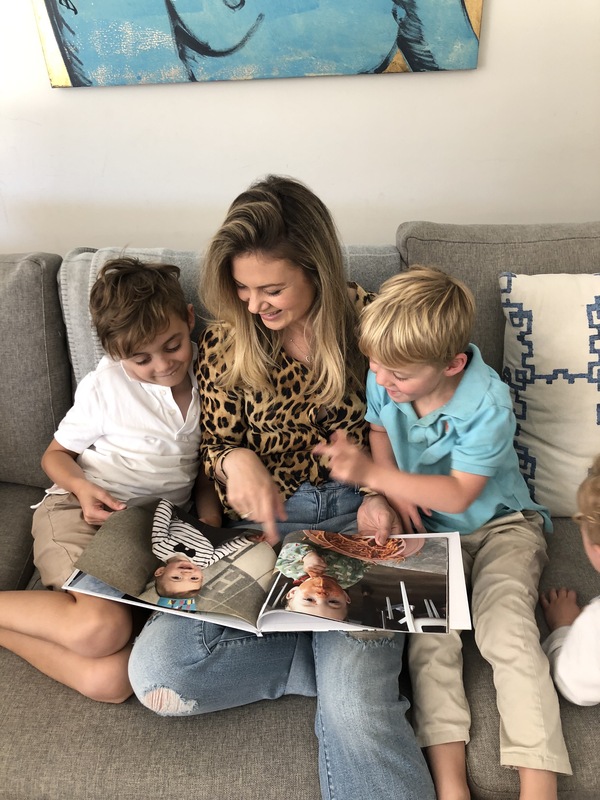 I was pregnant with Freddie and my sister in law was also pregnant and despite knowing it might be hard to travel with the little ones, we knew it was the right time to go. My father in law turns 70 later this year, this was his birthday gift. 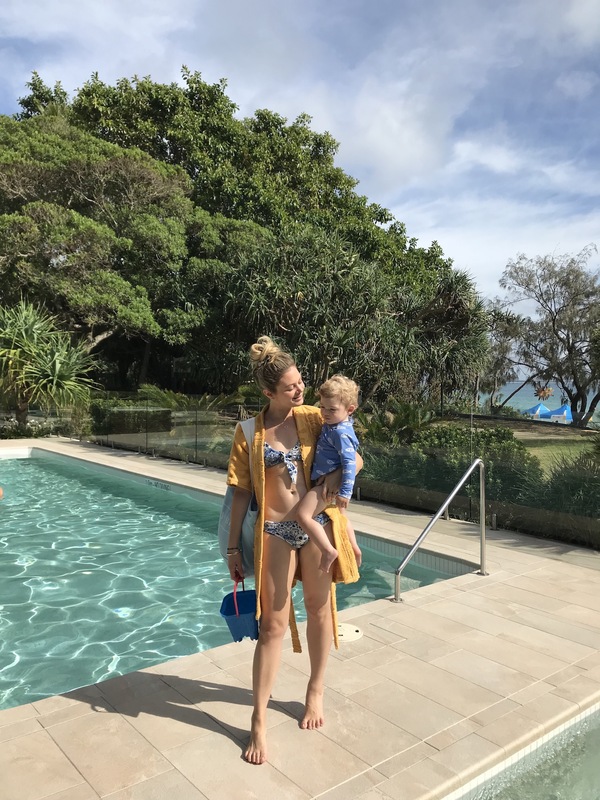 I thought I would break down the trip into several posts over the coming weeks detailing each location but I thought I would kick off with what you have all been asking for… the tips with travelling with babies and kids. Travelling in a group isn’t easy, even if it is your family, especially at an airport when you have a suit case and carry on and golf clubs and porta cots and strollers and hand bags and kids! I found the airport the most stressful part at every destination, Josh isn’t a great traveller, Will runs off and then getting all the liquids through at every security point was a nightmare. I had all the liquids in zip lock bags, except for the baby bottles and drink bottles so I was forever holding up the line behinds me. You must get every liquid out of your bag (and powder in Australia) and if you leave just one liquid in your bag, they will keep the bag aside (for 20 minutes at Heathrow!) so they can locate the liquid then test is. I don’t even think by the end of the trip I had that process down pat, I feel like it just got worse because I was more exhausted and had more things packed. I also had to be mindful that whether Freddie was asleep in the pram or in the baby carrier that he had to wake up to be held so those things could be scanned through the conveyer belt and he could be carried through the body scanner also. Moral of the story? This part sucked the entire trip. There isn’t really a limit of how much liquid (food or bottles) for babies that you can take, just make sure you organise them into the clear zip lock bags. This included baby food pouches, bonjela, creams, medicines. For the bottles, buy a little cooler bag so the bottles are all together (you can then later put it in your carry-on roller case) and have it open so the security can see what it is, scan it through or test them. Count how many zip lock bags or liquid bags you have so when you are frazzled and get to the other end to put them all back into your bag, everything is accounted for. I lost a bunch of baby food pouches and had to work out what to feed Freddie whilst waiting for the plane. Allocate baggage to people. I had my hand bag, the roller case, baby carrier and Freddie. Josh had his back pack, the kids back packs (including ipads) and stroller. Know where your boarding pass and passport is at all times, make sure you put them back into your bag in the same spot every time. Work out if you know something you are wearing like a belt or shoes or bangle will beep. Take them off before you go through the scanner. If you get distracted by that, then you will be frazzled packing your bag up. A baby wooden dummy chain will beep through security and they will pat you and your baby down in places you prefer not to be touched. Get out of there, just shove everything back into the bags and then organise it all properly when you are sitting at the boarding gate. What was in my bag for the flight? Well, it took me weeks to make sure I had everything I needed because once I was on board and those doors closed, what I had was, just that, what I had. I thought the more I packed for and prepared for was better than not having something I needed. 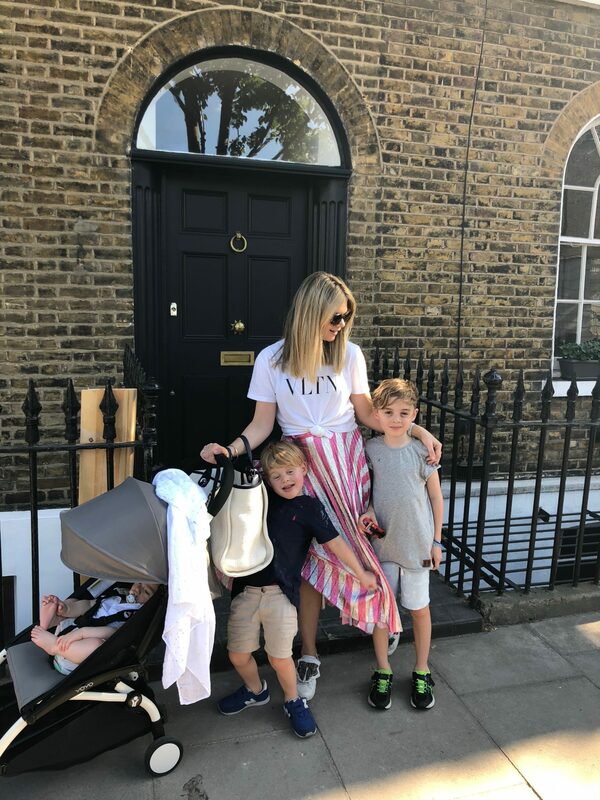 My boys and even myself have been unwell on flights before, so I had to make sure I had every medicine I could possible need in any situation, enough clothing for accidents for everyone and most importantly baby bottles, food and nappies. I didn’t want to rely on the airline to provide me with anything, just incase they didn’t have what I wanted, or, just like a trip to Noosa, I always plan to buy the cheese and crackers and by the time they get to me, they ALWAYS sell out, so I am left hungry. *note: my bag was ridiculously heavy and really hurt me, I am not sure what kind of bag won’t do this with this number of items in it, perhaps a back pack? Medicines- Cough medicine, Panadol, anything I thought I would need on hand for just incase. Thermometer, nasal spray. I am pretty good at treating sick kids now and if one of them got sick, I had what I needed in that bag for them. Be sure to pre allocate your seats so you know who sits next to who that best will work for your family. A flight is never going to be easy so be prepared for anything, happy or sad or sick kids and always have something for them to do. New toys are great and even pre looking at what movies are on board so you know exactly what to put on for them. To get them to sleep, give them enough playing or watching time at the start and once they have eaten and had a little more play time, tell them it will be time to sleep. Turn all their devices off, make them comfortable and even offer them a sleep mask. For babies have everything on hand, dummies, bottles, toys, Panadol. Freddie was teething so I knew he would be irritable so I had the Panadol close for when he need it, or a dummy. I had all his bottles filled up to 150ml and I would ask the flight attendants to top up the water with boiling water to 180ml when I was ready to give him a bottle. That way the temp would be perfect. I took 7 bottles and 4 formula dispensers. Sometimes I would fill a bottle up at the airport with boiling water and know that three hours later or less it would be perfect temp for the flight. Every time Freddie woke from a sleep but was still tired, I would offer milk. Every time to put Freddie to sleep I would offer milk. For solids I would feed him a food pouch just on my lap, as the trip went on, he progressed to eating the airline post weaning meals such as scrambled egg or mashed veg. For sleep I will put him in his sleeping bag and rock him to sleep. He slept better on me and if I moved to get comfortable, he would wake so I quickly learnt that I would rather be uncomfortable than for him to be awake. Have all the nappy changing items together so you can grab and go with no fuss. I passed him around when he was awake so he was stimulated by other people as he doesn’t really play with toys. He did like chewing and playing with a water bottle. When we landed, I would put the baby carrier on, put him in it and then carry my carry-on luggage off the plane. To keep him occupied I would offer him a rusk or hand-held snacks for his age. First thing I would ask for was a kettle so I could make sure I could clean his bottles, sterilise his dummies and fill his bottles. I would buy some dishwashing liquid from a near shop and each day I would wash his bottles in the sink in the bathroom. I found the hotels didn’t have microwaves so I made the decision to sterilise (ish) with boiling water. I would wash the bottles in the dish wash liquid, boil the kettle and fill the bottles with boiling water then pour that water out and re fill them with fresh boiling water ready for use, close the lids and repeat in 24hours. If Freddie was younger, perhaps I would be breastfeeding or perhaps I would speak to the kitchen and ask to use their microwave to use the sterilising bags I bought from the chemist (look them up). I did see a lady at the airport with the sterilising tablets she dissolved in a big bucket bowl. This would have been an option too. I organised the room so I knew where everything was. I had a changing station, a spot for their clothes, toys, food, snacks and bottles. I regret not taking a port-a-cot of my own. He slept mostly in bed with me until our last destination. I do suggest taking some Dettol wipes to clean the port-a-cot. If possible, ask if the hotel can leave a high-chair in your room, I found he fed better in a highchair. If not, then I fed him on the floor on a towel. If the hotel doesn’t have a bath, put a bath mat on the floor of the shower and sit him up on it to wash him. If he doesn’t sit up, then they would shower with you. 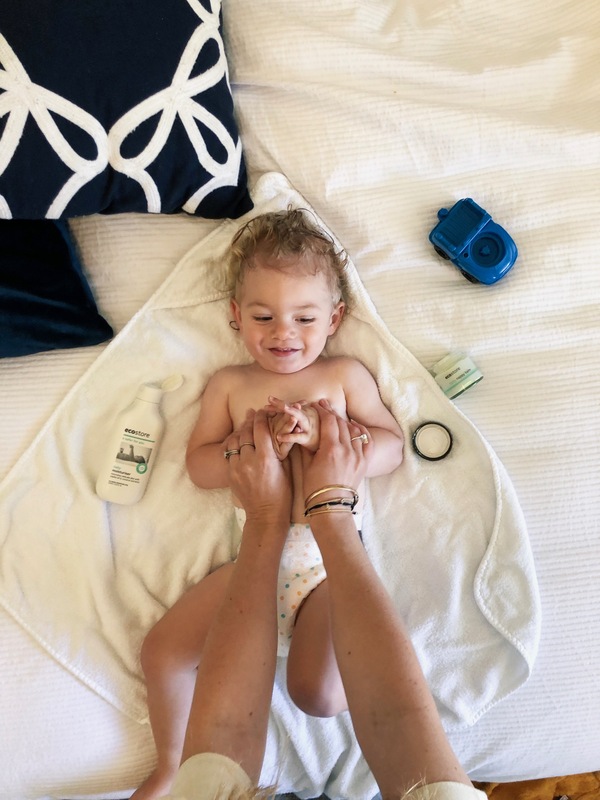 I make an effort to keep baby sample products that I receive from chemists or tradeshows at home, such as small sample size body wash or nappy rash creams and these are usually enough to last a trip. If bub is crawling, baby proof the room so they don’t pull things down that will fall on them. Freddie fell off one of the beds because he woke from a sleep on my bed and I didn’t hear him. I suggest putting them into a port-a-cot once they are sound asleep otherwise just lay there with them. We booked two adjoining rooms at each destination. If possible, find a laundromat and wash your clothes there instead of paying $3 to wash your underwear at the hotel. See if the hotel can organise car transfers to and from hotel and ask for child seats. I sometimes found it safer to have Freddie in a baby carrier when in a bus or taxi. This is one heck of a thing, it isn’t easy for anyone involved and it took us a good 10 days for everyone to get on time. Patience is key and getting out and about will help a lot, as well as sunshine. Make sure to at least do one thing a day. It is so hard for little kids to do more than this when they are tired. We would have breakfast and then go out in the morning, have lunch and then come home for quiet time where the kids could chill out on the bed, watch their ipad or sleep before dinner. The first night, we let the kids sleep from 3pm and we could not wake them up for dinner. Eventually we did and they were so wired and Aston was hallucinating thining there were bugs on him, he clearly was still asleep and sleep walk/talking. When the kids wake in the middle of the night, keep the room dark, don’t get them up, they need to learn that they have to try to get back to sleep or at least rest in bed, eventually in a few days they will go longer and longer until the morning. When Freddie would wake at 1am or so, I would offer a bottle and try to resettle him, however long it took. During the day, Freddie would sleep in his pram as this was the best way for us to not be couped up in the room. Kids get so tired travelling, like I said, sticking to one thing a day where possible is best or make the second thing something fun for them to do. If you are travelling with friends or family, see if they will stay at the hotel with them if they are happy to, so you can go out for a couple of hours. Book the hotel close to attractions or things to do. Don’t push your baby into a sleep routine, let him work it out for himself, he will get his sleep in the day and then eventually sleep better at night over time whilst you are away and when he starts to wake at a better time, you will see a natural routine happen. He will wake, you will give a bottle, go for breakfast and he will sleep again and then you will start to know when he will feed and sleep next. PACK YOUR OWNNNN BOWLLLLLSSSSS my sister in law packed so much for her little one, she took her own port-a-cot, portable high chair, night light, bowls/plates, smock bibs and I only packed bottles and formula. I regret not packing a port-a-cot so Freddie could sleep in the same (clean) bed every night and I wonder if he got Hand Foot and Mouth from one of the hotel high chairs? I would feed him from the high chair table and now regret every second just because I wonder if he got sick from it. For everyone’s sake, let your final night be in the same country or town as the airport. We left Mallorca to fly to Heathrow to then fly to Singapore then to Melbourne. I wish we had two nights to finish in London to then fly home from to reduce the travel hours, it worked out to be around 35hours travel. Always have the ipads charged and carry chargers and converters with you. Do what you have to do to survive, break your rules. Always have kid and baby snacks with you and water. Always make your kids go to the bathroom when you go or when one of them has to go. Try and see the world through their eyes, whether it’s the small things like seeing a squirrel run around at hyde park, stopping to look in a toy store or to take the time to rest. Take lots of photos! Aston had his own camera and he loved taking his own photos.